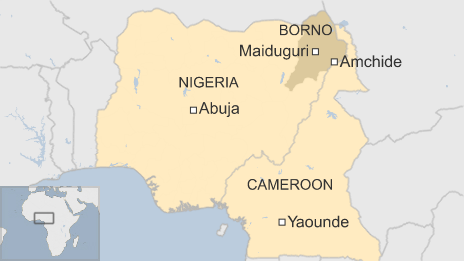 Meanwhile, Cameroon’s army says it has killed 116 Nigerian militants who had attacked one of its bases, AFP reports. Residents told the BBC the armed militants attacked the border town of Amchide on Wednesday, arriving in two vehicles and many others on foot. In a statement, the Cameroonian army said some of its vehicles from its elite battalion had been caught in an ambush on Wednesday. “At the same time… the Amchide military base was attacked by hundreds of fighters from the sect, but the response from our defence forces was instant and appropriate,” AFP news agency quotes it as saying. One Cameroonian soldier was killed and an officer is missing, it reports. 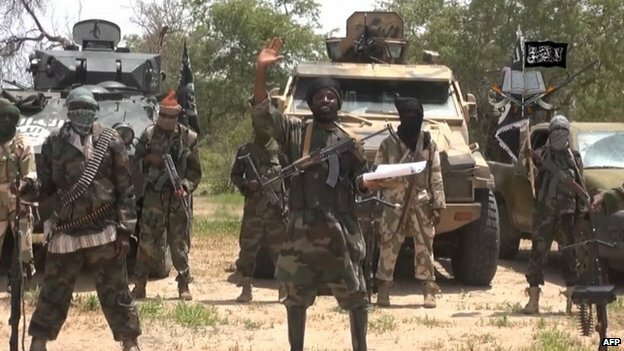 BBC Nigeria correspondent Will Ross says it is yet another example of just how vulnerable the communities of north-east Nigeria are and how the military has not been able to offer sufficient protection, despite promises of a massive deployment of soldiers supported by the air force. 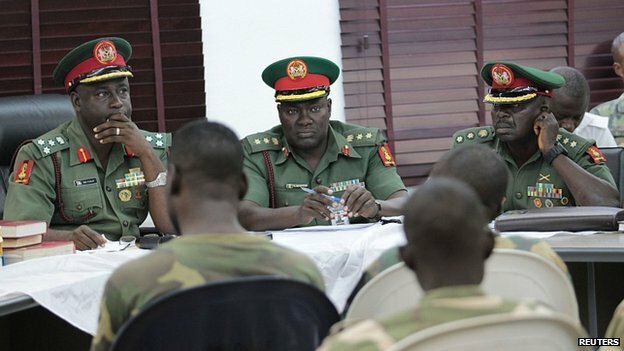 Attacks have increased since three states – Borno, Adamawa and Yobe – were put under emergency rule more than 18 months ago. Posted on 18th December 2014 by newsafrica. This entry was posted in #BringBackOurGirls, Africa, African Security, Boko Haram, Nigeria, President Jonathan. Bookmark the permalink.